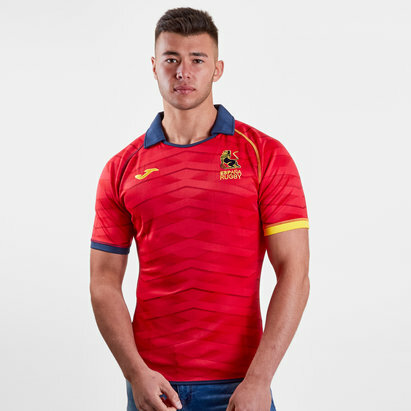 Cheer on Los Leones at the Complutense or out and about in this Spain 18/19 Alternate S/S Rugby Shirt from Joma. The Spanish kit is produced by manufacturer Joma who have been the kit supplier since 2016. Since 2017, Generali is the current sponsor. 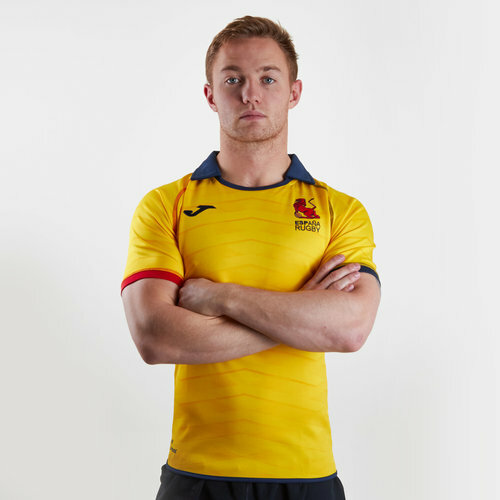 The home shirt is the traditional yellow colour with an interesting digital pattern across the body, with navy blue and red trim. The Joma logo is on the right of the shirt whilst the team badge is on the left.